The Neanderthals were a subspecies of humans who flourished over a large area of Eurasia for hundreds of millennia. Once thought of as primitive and mindless, they were, in fact, very sophisticated and successfully adapted to their harsh environment. They became extinct at some time between 40,000 and 32,000 years ago. It is believed that the arrival of modern humans (Homo Sapiens) led to the extinction of Neanderthals in an area from Central Asia to Western Europe. Homo Sapiens are believed to have outcompeted the Neanderthals at a time of climate change - leading to the Neanderthal disappearance from Europe. According to the New Scientist , it was thought that “the Iberian Peninsula was the Neanderthals’ final stronghold.” This is because modern humans entered Europe via the Eurasian Steppes and could not cross the narrow Straits of Gibraltar. It is held by many researchers that modern humans only reached Iberia about 35-32,000 years ago, and this means that the Neanderthals continued to flourish there even as they were being driven to extinction elsewhere in Eurasia. When modern humans did penetrate into Iberia this led to the final demise of the Neanderthal subspecies of humans roughly 34-32,000 years ago. This theory was based on archaeological finds from caves, especially the Gorham Cave in Gibraltar. Experts found Mousterian tools associated with Neanderthals that dated to 32,000 years ago at these sites. However, none of the distinctive ‘Aurignacian’ tools typically associated with modern humans have been found in these caves until after this date. This was held to lend evidence to the idea that Iberia was the last bastion of the Neanderthals in Europe. However, recent finds in the famous Bajondillo Cave near Málaga in southeast Spain, has challenged this idea. A multinational team was re-examining some artifacts from the cave and they made an astonishing discovery. Many of the tools are typical of Homo Sapiens rather than Neanderthals and New Scientist reports that “they can see the moment when Neanderthal-style tools give way to distinctly human-style tools.” They were dated by carbon dating to roughly 43,000 years ago. This finding could overturn the idea that the Neanderthals survived in modern Iberia much later than in the rest of the continent. If the dating of the modern humans’ tools is correct, then it would indicate that our species arrived in modern Spain and put pressure on the Neanderthal population at a much earlier date. This would mean that the Neanderthals probably died out in Iberia sometime about 40,000 years ago, based on what is known from elsewhere. The results of the investigation could mean that Neanderthals disappeared from Europe up to 10,000 years earlier than once believed. On the other hand, it may mean that the two archaic human species co-existed for many millennia. 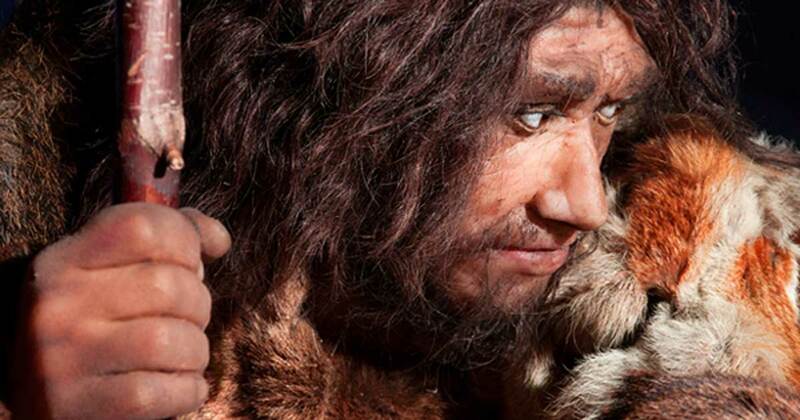 What Does it Tell Us about Neanderthal Extinction? A press release from the Natural History Museum (UK) states that the evidence “revives the idea that the Strait of Gibraltar could have been a potential dispersal route for early modern humans out of Africa.” If humans were in southern Spain some 42,000 years ago, then this would indicate that they may have crossed the Straits of Gibraltar rather than entered Europe via Eurasia. It seems that Homo Sapiens may have used coastal routes to migrate out of Africa. According to the Natural History Museum, the finds show that the “takeover by modern humans at the site at Bajondillo was not associated with a Heinrich (severe cooling) event.” This may indicate that environmental changes did not contribute to the eventual extinction of the Neanderthals as much as believed. The discovery near Malaga could transform our view of how modern humans displaced Neanderthals and debunk the theory that Iberia was the last stronghold of that species of archaic humans. There are some who dispute the dating of the Homo Sapiens tools and hold that Neanderthals did survive in Iberia until the coming of modern humans. However, there is also evidence from elsewhere that Homo Sapiens were replacing Neanderthals in Spain 40,000 years ago, or even earlier. It is becoming more and more evident that Neaderthals were simply human, homo sapiens. The narrative that they were somehow a different species is based less on evidence than on bias. And that bias is not unlike that which we experience today. For example, if a person doesn't look the same as us, many people assume that these people are not as intelligent as they are, a bit less human than they are. These kinds of biases are consistent with the false evolutionary narrative. As real science learns more and more about the reality we live in (and that is what real science is), there is less and less room for false evolutionary narratives. This is garbage speculaton based on very scant anecdotal evidence. "Junk DNA" is false argument from evolutionary ignorance. It simply asserts that since we don't know what a strand of DNA does, it must be junk. And since it is junk, it must be leftover detritus from our evolutionary past. Then it is stated that "Junk DNA" is a proof for evolution! But as real science progresses, it is discovering the function of more and more of the non-coding genome, and it is likely that very little, if any is non functional. The false evolutionary narrative of "junk DNA," like its predecessor false evolutionary narrative of "vestigial organs" have hindered the progress of science. As our understanding of nature increases, there is less and less room for evolution as an explanation. Obviously you don’t even understand what “Junk DNA” even means.